Jenny Uglow reviews All Too Human: Bacon, Freud, and a Century of Painting Life at the Tate Britain through August 27, 2018. Uglow begins: "The gripping and dramatic show ... merits its title: it is 'all too human' in the tender, painful works that form its core. But 'a century of painting life' promises something wider—does it smack of marketing, a lure to bring people in? In fact, the heart of the show is narrower and more interesting, illustrating the competing and overlapping streams of painterly obsession in London in the second half of the twentieth century. It shows us how, in their different ways, painters such as Francis Bacon and Lucian Freud, Leon Kossoff and Frank Auerbach, R.B. 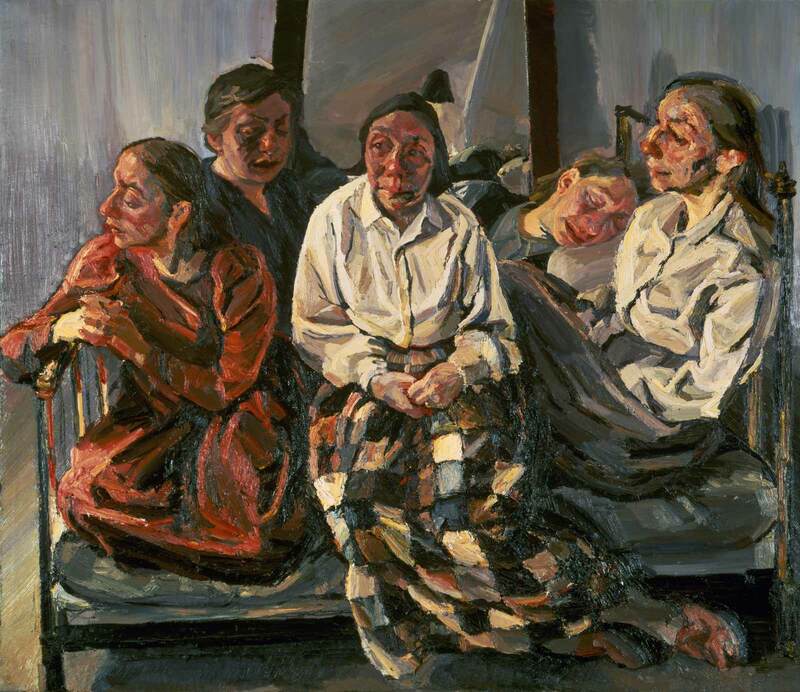 Kitaj, and Paula Rego redefined realism. In defiance of the dominant abstract trend, they teased and stretched the practice and impact of representational art."